Lydia Ko has broken more records during her unprecedented career than anyone else in the world of professional golf. What about Tiger Woods, I hear you ask? Well, it took him until the age of 21 to become world number one. Ko reached that landmark before being able to legally drink in both the nation of her birth and the country where she now resides. 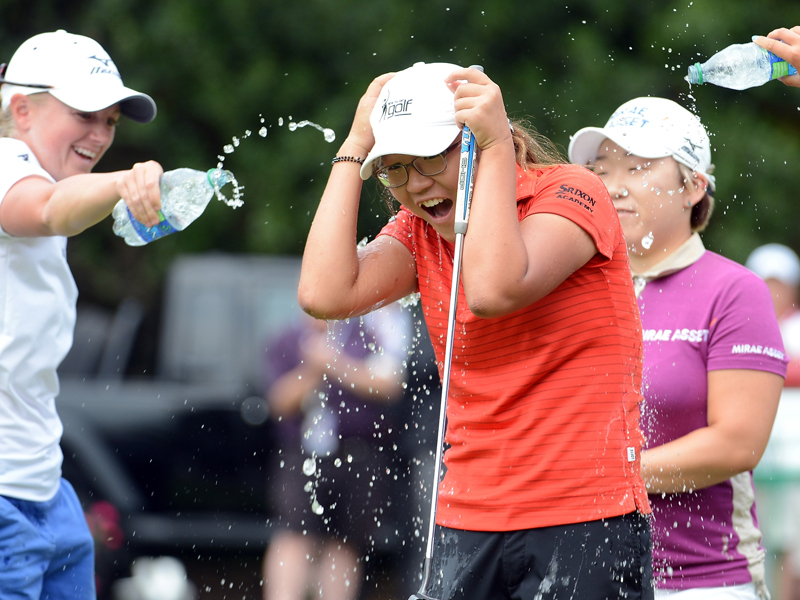 The South Korean-born Kiwi is yet to reach the age of 18, but she’s already 1.33 points clear of five-time major champion Inbee Park atop the Rolex Rankings. Simply put, the precocious teenager is blazing a trail you suspect won’t ever be replicated. That sounds like a brash statement, given golf’s technological advancements, the truly global nature of the game and a host of other factors, but Ko is in a league of her own, and has been since her childhood. The world of golf has never seen anyone achieve so much at such a young age, and probably never will. What’s so staggering is the way Ko carries serenely on, blissfully unperturbed and unaffected by her position at the top of the women’s game. The world number one ranking has done some incredible things to so many people – Park famously declared her joy when she relinquished the title due to the additional pressure and scrutiny it attracted, while a host of men have reached the pinnacle of the sport and decided a drastic overhaul of their swing was in order. It remains to be seen if such afflictions will strike Ko. If they don’t, she could be out of sight at the top of the world rankings before too much more time elapses. Below, we look at the significant moments in the truly astonishing life of this teenage sensation…. 2005 – Ko competes at the New Zealand National Amateur Championships at the age of seven. 2009 – wins the North Island Women’s U19 Championship at the age of 11. 2010 – triumphs at the New Zealand U23 Championship and ties for 7th at the New Zealand Women’s Open – a professional event. 2011 – comes first in both the Australian Women’s Stroke Play and New Zealand Women’s Stroke Play at the age of 13; reaches number one in the World Amateur Rankings. 2012 – becomes youngest-ever winner of a professional event, aged 14, at the New South Wales Women’s Open (ALPG Tour); wins the Australian Women’s Amateur (14) and US Women’s Amateur (15); finishes as low amateur at the US Women’s Open; wins CN Canadian Women’s Open to become youngest winner of an LPGA Tour event (below – Getty Images). 2013 – becomes youngest winner of a Ladies European Tour event at the ISPS Handa NZ Women’s Open; breaks tournament record in defending the Canadian Women’s Open, becoming the first amateur to win two LPGA Tour events; LPGA Tour waives its minimum-age requirement to allow Ko to join the Tour after she turns professional on October 23, aged 16. 2014 – claims first victory as a LPGA Tour member at the Swinging Skirts LPGA Classic during her 17th birthday week; wins the Marathon Classic; wins LPGA Tour rookie of the year accolade after coming first at the season-ending CME Group Tour Championship. 2015 – becomes women’s world number one in February, aged 17, breaking the previous record (men’s or women’s) by four years; notches her 6th title at the ISPS Handa Women’s Australian Open.